Can anyone provide some input as to wether this setting is actually more realistic or not? It is meant to be used to compare the relative brightnesses of two or more stars. For lone stars it makes to sense to use it except sometimes for aesthetic effect if you want. It is similar to the purpose of Real Planet Brightness. Is there anyway in any file somewhere that i can change the minimum and maximum values for RPB? But in SE we simulate a camera, not an eye, and there are cameras that can expose properly even under stupefyingly extreme light conditions. These water shaders in SE would cause a serious awesome overload. Think of the huge waves on an oceania! And then, when you approach a star system (within a few hundred AU's), the engine could then generate the sound of the central body. When you approach a planet, ambient music could play. One could imagine serene, beautiful music for warm terras with life, and an eerie, silent beat for frozen selenas. Finally, when you enter the atmosphere (if it has one, of course ), the engine plays various ambiences like wind, water, and your engines. These water shaders in SE would cause a serious awesome overload. Finally, when you enter the atmosphere (if it has one, of course smile ), the engine plays various ambiences like wind, water, and your engines. Hey Joey, nice web site! Thanks for sharing! Yeah the next big thing for planets should definetly be the water. And the already planned improved clouds. I'm not sure if I believe that. Close or cover one eye, and stare straight ahead at a target. Swing your arms out in front of you, and try to keep them just at the edge of your vision. It's approximately 90 degrees or so. Your belief is not required. It is fact. I just did your test, just as I had done it for eye exams in the past, and I can see my hand on one side until it is almost directly beside me, and I can see it on the other side until it disappears behind my nose. All while looking straight ahead. Which means that the FOV is at a MINIMUM 150°. Besides, if both eyes had a 90 degree FOV, and they both look in the same direction, then it is a mathematical impossibility for them to have a combined FOV of 180°. Each eye's FOV is comparable to the total FOV. The very fact that the FoV of the eyes overlap is the reason why we have any depth perception what so ever, and why our eyes are facing forward like a predator. Grade school knowledge really. Herbivores on the other hand have eyes that don't overlap, many even have a blind spot directly in front of them. Take a look at section 17-12. For a single eye (monocular vision) it's relatively close to 140 degree field of view. I totally understand 180 degree field of view if you've got two good eyes. The only reason it is not the full FOV is because of obstructions from the face. That has nothing do to with the actual capability of the eye. Just because you can't see beyond your nose, you shouldn't ignore the fact that you can still see your nose, so it must be included in the FOV. Again, each eye has approximately the same FOV as both eyes combined. 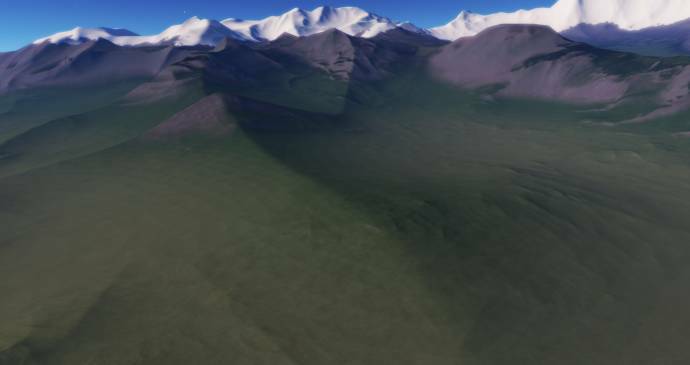 I'm not sure where to ask this, but I'm just wondering if SE takes into account the planets temperature and atmospheric pressure when determining the snowline on mountains? It does take latitude into account in general, but I've seen warm and hot planets with snowcapped mountains. 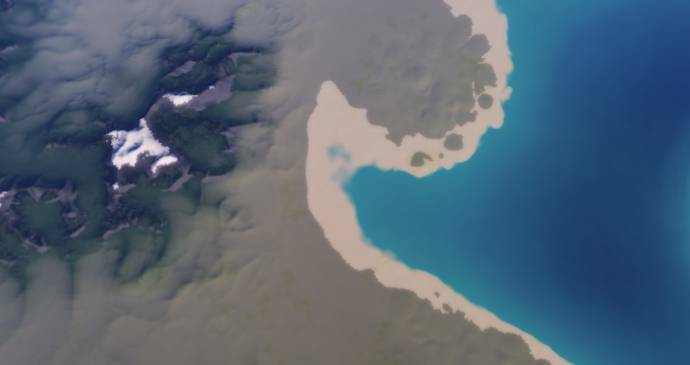 The reason I'm asking is because I had found a terran world with tons of mountains (it's like the mountains and canyons got set on max or something, the continents looked, spongy, to use the word I described it in my head) and lots of snowcapped moiuntains over all latitudes. However, the planets average temp was 384 or so. So, unless the mountains were all extremely high mountains, I'm just not sure if a planet that hot would have snowcapped mountains in that amount. This planet also had an atmospheric pressure of 1. something, I forget the exact number. Fixed color banding artefact on landscape and especially on the water. Normal-and-height textures now store more precise height and less precise normals, but changes in lighting is not noticeable.